There is no ingress or egress to the property from Dobbins. 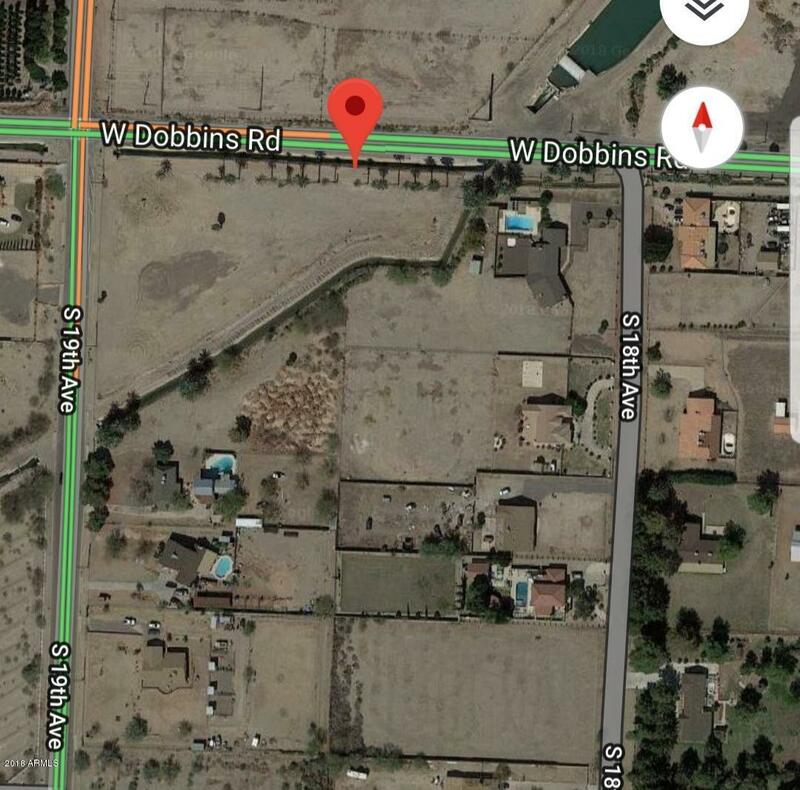 Property is located adjacent to 9211 S. 19th Ave, a vacant lot also zoned Commercial on the Southeast corner of 19th Ave & Dobbins for sale by different owner (See MLS 5827934) & 9212 S 18th Ave a private residence on Dobbins adjacent to the subject property on the east. Subject property & vacant lot at 19th Ave & Dobbins would combine to an approximate 2.5 acres. See Map. All due diligence, environmental reports, surveys, etc. are the responsibility of the Buyer/Buyers Broker.